Jamie here to share a couple Thank You Cards! 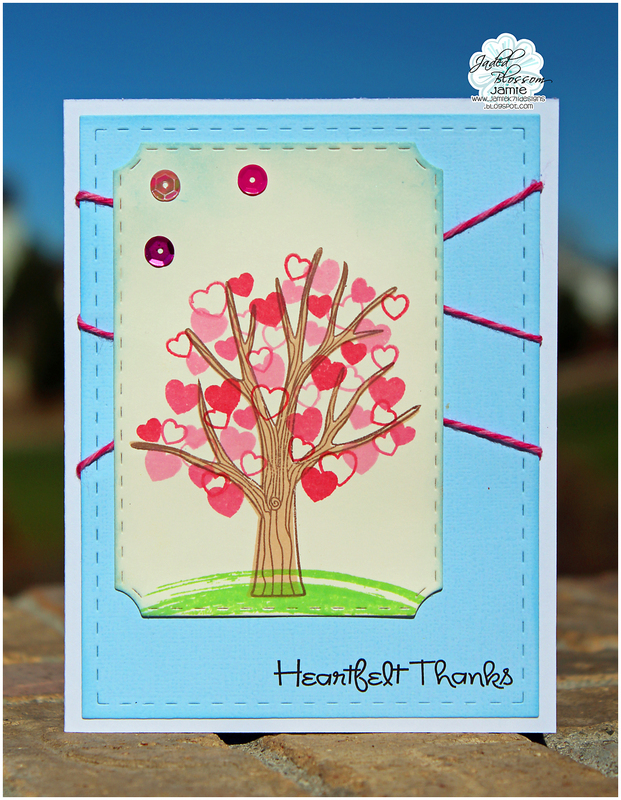 I used the Ticket Book Die to stamp the Seasonal Tree with hearts on. I also added the Paint Splatters 2 for the grass. I used the Card Mat Dies and Kind Thanks on both cards. And also used Stitched Square Dies on my fox card. If you hopped along with us for the Movember Hop, you saw me use this for a card and a onesie for my newest addition. 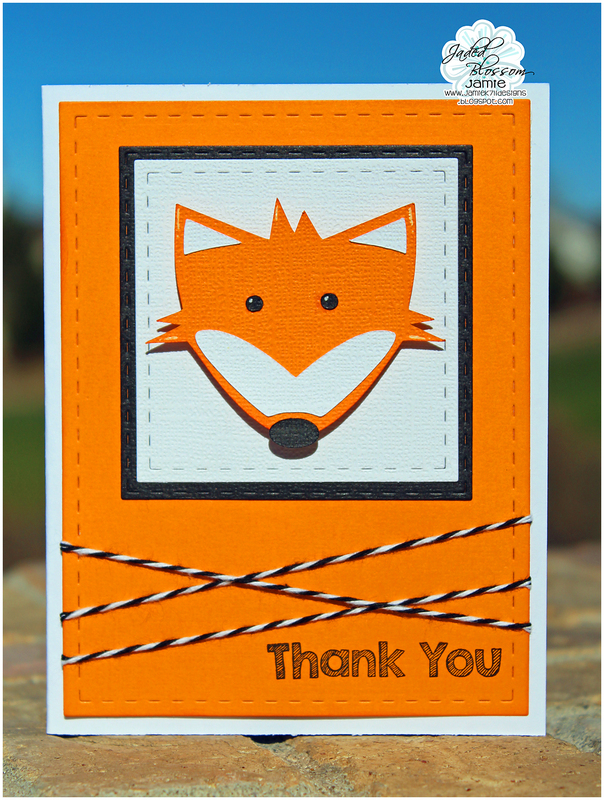 So of course I needed to make some fox thank you cards for the gifts we received.